Look who’s speaking at TEDxVictoria 5! The lineup for TEDxVictoria 5 includes a quantum physicist. An Athabasca Chipewyan First Nation lawyer leading a charge against climate change. A social media dynamo who revolutionized the way VicPD interacts with the public. An Emmy Award winning visual effects artist. A grade 12 student who developed a test for a rare genetic disorder. Spearheads of innovation and defiers of convention in education, entertainment, science and technology. And me – Victoria’s GPS Doodler. On November 21, I’ll be taking the stage at the 772-seat McPherson Playhouse to share my passion for exploring the exhilarating interplay between cycling and creative expression. When I started creating GPS doodles on January 1, 2015, I uncovered a way to revitalize my fitness regimen while recharging my creative batteries – a way to make the pursuit of fitness far more fun and, for people who’ve convinced themselves “I’m not creative,” a way to take the intimidation out of artistic expression. 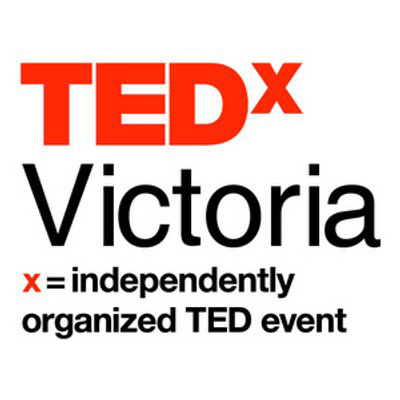 I believe that’s an idea worth spreading – and happily, the organizers of TEDxVictoria agreed! TED is a nonprofit devoted to spreading ideas, usually in the form of short, powerful talks. TED began in 1984 as a conference where Technology, Entertainment and Design converged, and today covers almost all topics — from science to business to global issues. Meanwhile, independently run TEDx events help share ideas in communities around the world. Watch the TEDxVictoria 5 launch video to get a sense of what’s in store! This entry was posted in Uncategorized and tagged bicycling, creativity, cycling, gps art, strava art, TED Talks, TEDx, TEDxVictoria, victoria bc, YYJ. Bookmark the permalink. 1 Response to Look who’s speaking at TEDxVictoria 5! Congratulations! How exciting. I love the TEDx items and watch them on NetFlix.